Lynne Taylor received her PhD in Applied Management and Decision Science, with an emphasis in Information Management, from Walden University in 2011 while on active duty in the Air Force Nurse Corps. She currently serves as a Contributing Faculty member with Walden University in the School of Nursing and has served in this role since March 2018. Dr. Taylor has been a nurse for over 30 years and has been working as a nurse educator since 2008. In 2010, her role transitioned to program development and implementation. 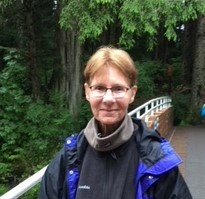 Since becoming certified in Informatics Nursing by American Nurses Credentialing Center she has been involved in advising hospital leadership on workflow redesign, clinical decision support systems, strategies to assist providers with implementing the electronic health record, project management, and quality measures. Dr. Taylor has worked as a researcher in education, specifically in the effectiveness of simulation training; and is a member of a variety of nursing organizations. After 30 years she retired from the Air Force.